Happy Dance! Snoopy is by Charles Schultz. The house has been read all the way down! Reading Down the House was a challenge I set for myself in November 2013. 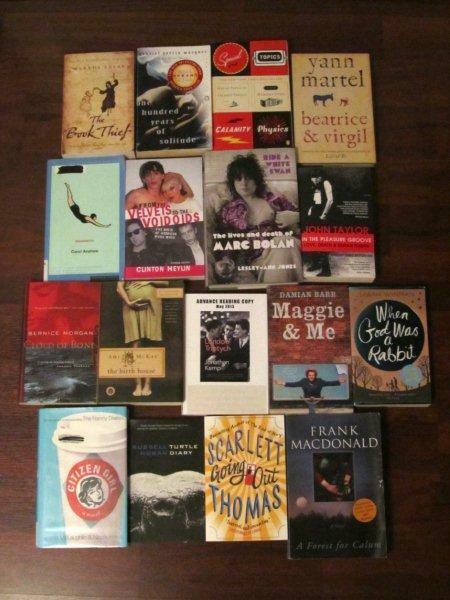 I gave myself 14 months to read a stack of 17 books that I had bought but never read. I let them pile up over several years while constantly being distracted by newer books I wanted to read more – usually from the library. I could have given the books away (or sold them) unread, but I did want to read them – just not urgently. The original reasons I chose the books were murky, and it was likely that “someday” would never come. I usually read about 4 books a month. This year I read 6 – in effect, the four I would have read anyway, plus one for Reading Down the House and one for my book club. So my reading time definitely increased as a result of having this goal. 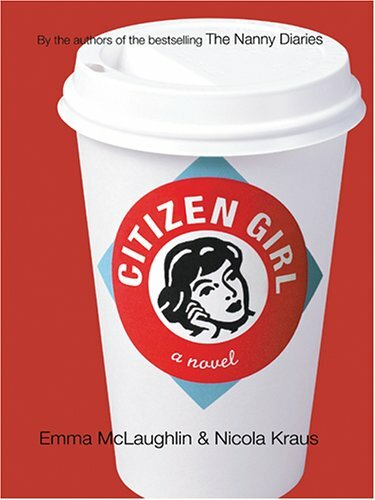 Citizen Girl by Emma McLaughlin and Nicola Kraus. I saved this until nearly the end because I thought it would be a fun read. I enjoyed their Nanny Diaries book when it came out. Unfortunately, I did not find Citizen Girl readable. At all. It was the only book of the 17 that I put down and couldn’t read. So, I chose another chick lit book from the library to take its place. 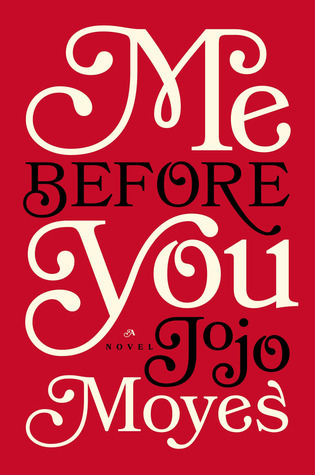 I picked up Me Before You by Jojo Moyes. It is a novel about a young woman works as a caregiver for a successful businessman who has become a quadriplegic. He is surly and hates being dependent. It is obvious they are going to fall in love. That in itself would have been a romance with a twist and enough of a story for most authors. Not a spoiler: soon it is revealed that Will wants to end his life, and his loved ones race against the clock creating reasons for him to go on living. I was impressed by the medical and other research the author did. Unexpectedly, I was drawn in by the main character, Louisa’s, relationships with her extended family. It is the best depiction of the complicated bonds between sisters that I’ve read, and that wasn’t even a key theme in the book. But most of all I was very surprised by the author’s willingness to take on some very serious and perhaps unpopular views. So I will go ahead and say it, I think this book transcends its genre. Highly recommended! Next I read a book that I both anticipated and dreaded, One Hundred Years of Solitude by Gabriel Garcia Marquez. I looked forward to it because I like other authors who have used magic realism, even though this guy did it first! And procrastinated because it looked long and serious. Spoiler alert: The novel seems to be a parable about the founding of Colombia, and also a generational saga, with lots of magic and mayhem. At first I thought the hapless Buendia family would triumph in the end, but that wasn’t the point. I think the point is that life itself is a mixture of the glorious and the odious, and sometimes we don’t know which is which. Lives begin and end, we are players on the bizarre stage that is our very own political context, everything crumbles in the end, and you can laugh or you can cry. Lots of elements in the book made me feel uncomfortable, and most of the characters were hard to like. I was still glad I read it. It made me think, Huh, life is like that. I realize there is a complex subtext which has generated reams of literary criticism but luckily I am not in school. 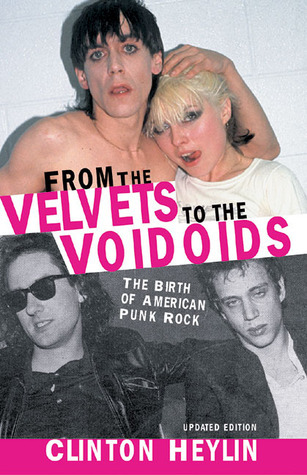 My very last book for the challenge was From the Velvets to the Voidoids: the Birth of American Punk Rock by Clinton Heylin. Right up my alley! I have read a lot of books on the history of rock music and specifically on the history of punk. I’m always up for another. This one focused on the CBGB scene in New York in the early to mid 1970s, and included a lot of information I didn’t know about the Cleveland/Akron scene. The book is mainly for music geeks, and the author took great pains with his fact-checking – and he heaped scorn on others who published inaccurate info! It included details of band line-ups, club appearances, set lists, demos and early recordings, signings, and so on. I liked that the author focused not just on the bands, but on the growing scene – he described venues, fanzines, managers and record labels. Just a few of the bands included were Television, The Ramones, Blondie, the Talking Heads, Suicide and Patti Smith. What an era! (The book is probably mis-titled if you believe punk started in the UK in 1977. Really, it could have been called “The Birth of Underground Art Rock.”) Anyway, for me it was a must-read! So here are my conclusions. Reading one book a month of “required reading” was somewhat character-building. My normal way of reading is to bring home a stack of books from the library once or twice a month, send half of them back unread, and dabble in the rest before deciding. Then I have one or two books always on the go, plus another on my e-reader, so I can read “what I feel like” any given day. It makes me feel like a hummingbird, hovering around books but never resting. Both my book club books and RDTH books “forced” me to sit down and read for hours at a time, to meet my deadlines if nothing else! That served to build my attention span (a lot!) so it now feels normal to me to sit down and read for two hours or more at a stretch. I am less distractible and it has quelled my urges to check my email and my blog stats continually! Because how can they compete with finding out what happened to Jose Arcadio Segundo or Johnny Thunders? It’s also taught me about why I buy the books I do. When I browse bookstores, airport news stands, flea markets and other places that sell books, I am attracted to fiction that is literary or serious or classic. I want to buy that book because it represents my best self and what I aspire to, rather than what I am on any given day. It’s not that I want a prestigious looking bookshelf. Most of my reading comes from the library. But when I can make myself focus, books really do improve me. They make me see beyond where I am situated and who I know and what I believe. And it gets better – then I can actually discuss them with people I know, and we can share our insights, or even just bond over liking or disliking the same books. It’s both a solitary-in-my-head experience and a social thing. Be sure to tell me what you’ve been reading! Right now I am reading a YA historical fiction series “Nory Ryan’s Song” set in the time of the Irish potato famine. Binge reading!! I am out of date on my YA reading. Last year I only read two bestsellers, The Fault in Our Stars and Eleanor and Park. LOL I like how you say “required reading” is character building. Ive never thought of it that way before but it is so true (said the girl who, if she doesn’t like the first couple of paragraphs, will never pick up the book again). Congrats on reaching your goal! Thanks! For my own personal reading, I barely get past page 1 if I am not interested. Too many great books in the world for that! I’m currently reading David Copperfield by Charles Dickens. It took me a while to get into it, but I’m glad I stuck with it as I am now really enjoying it. I’ve never finished a Dickens novel, and I think it’s about time that I did! This year (and probably next year too!) I am reading down the contents of my Kindle, as I finished the physical books last year. I’m also reading through my knitting books, as I usually dip in and out of them, but have realised that there is a lot of useful and interesting information that I am missing out on. I intend to read David Copperfield – I even bought my own copy. I won’t give myself a deadline, though! I’ve got reasonably far into David Copperfield, but have decided to stop…I thought I was enjoying it, but I realised that reading it was making me a bit melancholy, and I was ploughing through it in order to get it over with! I may revisit it at a later date, or perhaps not. I used to really enjoy reading fiction, but I seem to prefer factual books these days…will see how I get on with the more modern fiction on my to read list! That strategy worked for me! I applaud your efforts and execution. My dilemma is I have numbers of books I started and set aside due to distractions and other books. Yep, those were the kinds of books I read for this challenge! I was given Amsterdam (Russell Shorto), Unspeakable Things (Laurie Penny), and Can’t We Talk About Something More Pleasant (Roz Chast) for my birthday – and I am partway into all three. Although I read for pleasure, I know that I think all books should have some educational redeeming factor – i.e. I should learn something or be made into a better person by reading them – so the books I tend to buy for myself are either non-fiction or historical fiction or literary biography. I have your third book on my library list. I give myself lots of leeway to read just for fun, but I always find the best books are the life-changing ones. I read that Jojo Moyes book, recently, on someone’s recommendation. It is a good ‘love story’ and I also enjoyed learning about the family dynamics. It really was well written in my opinion. I’m sticking, as you know, to the library books for all my books. The books I own are minimal and dwindling! At the moment, I’m read Sugar, Fat, Salt which is incredibly interesting, thought lengthy book. I’ve given up Facebook on the train to read it, so it’s ‘that good’! I’m halfway through another book about the economy called “The value of nothing” and I’m half heartedly dipped into “What Color’s your Parachute” which I really should sit and read and note take on… But I can’t be bothered, y’know? Less than a week til I head to the US, where I will once again rejoice in cheap books, sold in grocery stores! Here, seldom is a book less than $20 or $25!! I can’t wait to hear about your trip! What is the current exchange rate on the dollar versus the US$ ? I’m shocked by those book prices, Sarah. goodness! When I used to buy books, I rarely paid more than $5-8 for brand new titles (albeit the paperback version). I think I went a little astray with my ‘Reading Down the House’ books because in the end I started donating or recycling books in order to reduce the total of ‘unread’ books in the house. Really though, I think I realised I was ‘just not into it’ with certain books and that has been very liberating. The best part of the Challenge for me was that I’ve really refined my book collection. It’s only a small collection (<40) but I now *love* all the books I own. I can linger over the bookcase and really savour each book. It will make me more selective in future to keep to that standard in terms of the books that stay in the house. I even love dusting the bookcase now because every book there is something I love and use often. I especially enjoyed reading your tips on how you 'find time for reading.' It's made me a more organised and committed reader. Thanks for 'hosting' the challenge, Dar – it's been very thought-provoking and enjoyable! Thanks, Fiona! I like your solution. I will never have so few books, but I am working on keeping only the ones I’ll re-read or use for reference. I loved the jojo moyles book,I have been sorting my bookcases this month and have a whole stack I have bought and not yet read, I may well set myself the reading down the house challenge. If you do, I’d love to hear how you’re doing! Thanks. I am wondering what her other books are like.